Cards on a rocks please! Project “Toronto Graffiti” – urban sketches art book and postcards – was presented at 9-th Biennale of Travelers Sketches in the City of Clermont-Ferrand, France. Éditions Tchaï was the only Canadian guest of honor at the Biennale. 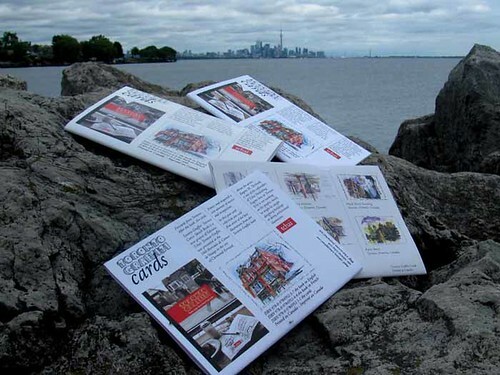 The set of 7 postcards – best illustrations from the Toronto Graffiti book – comes with its original envelope-cover on witch you will find information about the author and illustrated table of contents. Would also look lovely framed.